Tags compliant with OSHA and ANSI standards demonstrate safety awareness messages and headers such as; DANGER, WARNING, CAUTION or NOTICE. Most OSHA Tags can be customized and shipped the day of purchase. OSHA & Safety Tags is one of our most popular products at Seton. 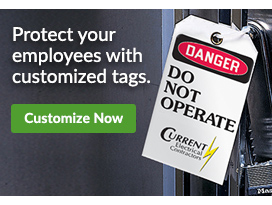 We carry many types of Tags, from OSHA & Safety Tags to Workzone, Jobsite and others. OSHA & Safety Tags are made up of Custom Tags, Service Tags, Bilingual Tags, Chemical and Hazmat Tags and many more. Tags are affixed to various equipment for inspection, status and detailed directions.